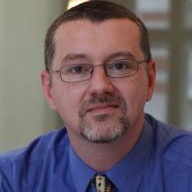 Dave is Associate Head of the Business School, with responsibility for the BA (Hons) International Management and BA (Hons) International Finance and Business Accounting programmes. He is a senior principal lecturer in the business school where he lectures on Human Resources, Cross-cultural Management, and Research Methods at undergraduate and post-graduate level. Dave is currently involved in two areas of research, firstly in developing materials to assist student research; secondly, developing student materials for the areas in which he lectures. He is a frequent contributor to the Bulletin of the Centre for Research and Interdisciplinary Studies. He has been closely involved in education development since graduating from Sheffield Hallam University in 1995: teacher training in China, vocational and language training in the Czech Republic and Portugal. At the same time he brings his experience and passion for running and managing businesses to the classes which he teaches at all levels of the college, from first year undergraduates to the post-graduate programme. Dave holds an MA in Imperialism and Culture from Sheffield Hallam University.